From medieval France to contemporary Tasmania, two remarkable women discover their strengths, passions, and loves. 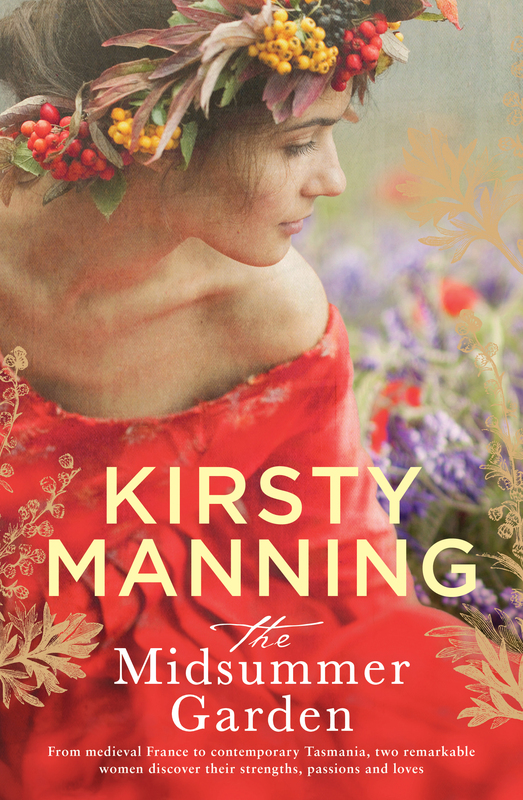 Travelling between lush gardens in France, windswept coastlines of Tasmania, to Tuscan hillsides and beyond, The Midsummer Garden lures the reader on an unforgettable culinary and botanical journey. 1487 Artemisia is young to be in charge of the kitchens at Chateau de Boschaud but, having been taught the herbalists’ lore, her knowledge of how food can delight the senses is unsurpassed. All of her concentration and flair is needed as she oversees the final preparations for the sumptuous wedding feast of Lord Boschaud and his bride while concealing her own secret dream. For after the celebrations are over, she dares to believe that her future lies outside the Chateau. But who will she trust? 2014 Pip Arnet is an expert in predicting threats to healthy ecosystems. Trouble is, she doesn’t seem to recognise these signs in her own life. What Pip holds dearest right now is her potential to make a real difference in the marine biology of her beloved Tasmanian coastline. She’d thought that her fiance Jack understood this, believed that he knew she couldn’t make any plans until her studies were complete. But lately, since she’s finally moved in with him, Jack appears to have forgotten everything they’d discussed. When a gift of several dusty, beautiful old copper pots arrives in Pip’s kitchen, the two stories come together in a rich and sensuous celebration of family and love, passion and sacrifice.